Libbey's 12-piece clear glassware set makes a wonderful wedding or housewarming gift or just buy them for your own kitchen. 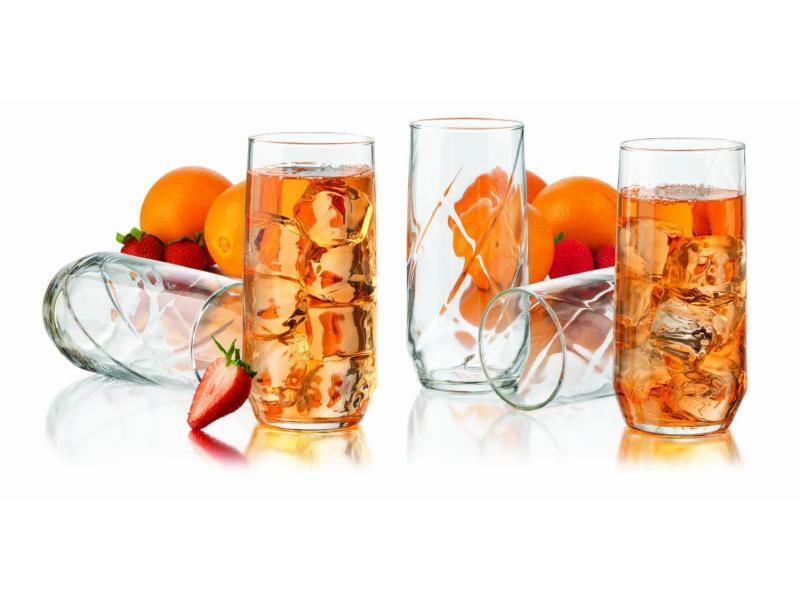 These flat-bottomed, dishwasher safe glasses feature an attractive, diamond swirl design. The set consists of 12 ,16 ounce coolers that are perfect for use as iced tea glasses. Sturdy but elegant, these Libbey glasses are made in the U.S.A.